It’s been a while, so I must apologise for my absence! 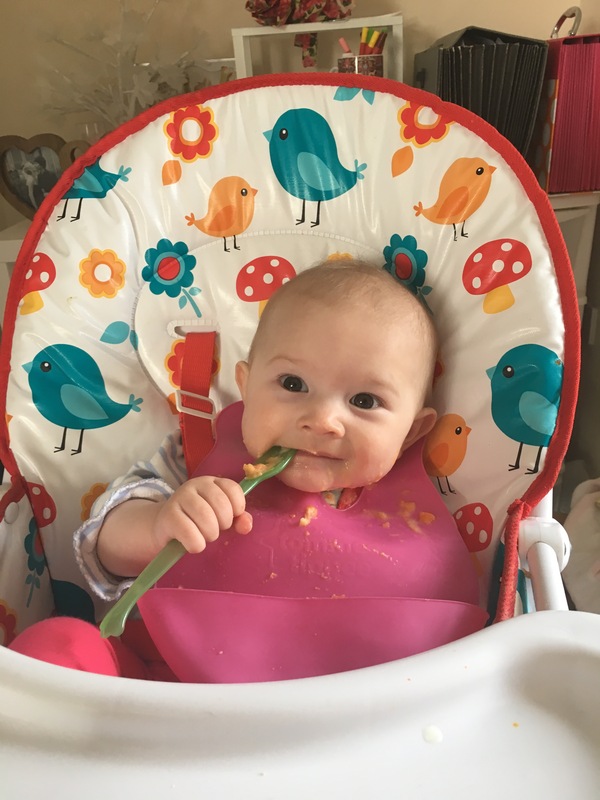 I wanted to write about a big milestone we have begun lately – weaning! We initially started at 6 months, as is currently recommended by the World Health Organisation. However, poor little H really didn’t take to this well. Her colic symptoms came back and she was screaming for around 5 hours each night. 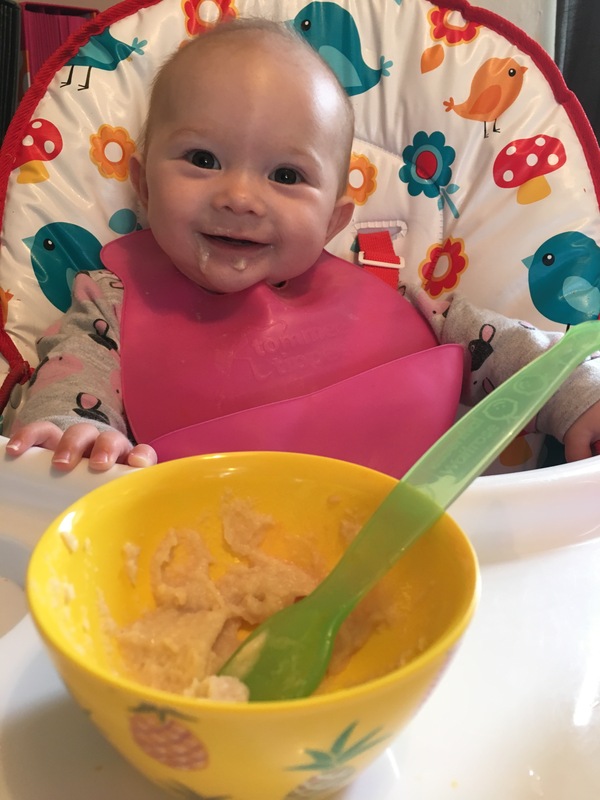 A week in we chose to stop, go back to just breastmilk, and start again at 7 months. We are now at 7.5 months, so 2 weeks in and I am pleased to report that things are going really well! 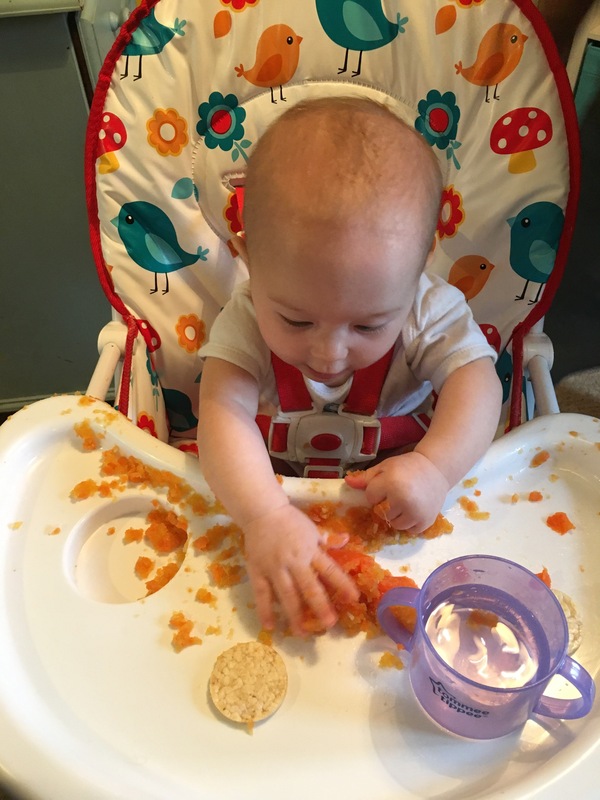 We started with veggies as I read waiting to introduce fruits can help avoid babies developing a sweet tooth (we shall see!) and do a mix of purée and finger food. We followed guidance to only introduce one new food every 3 days to help challenge any allergic reactions that may occur. 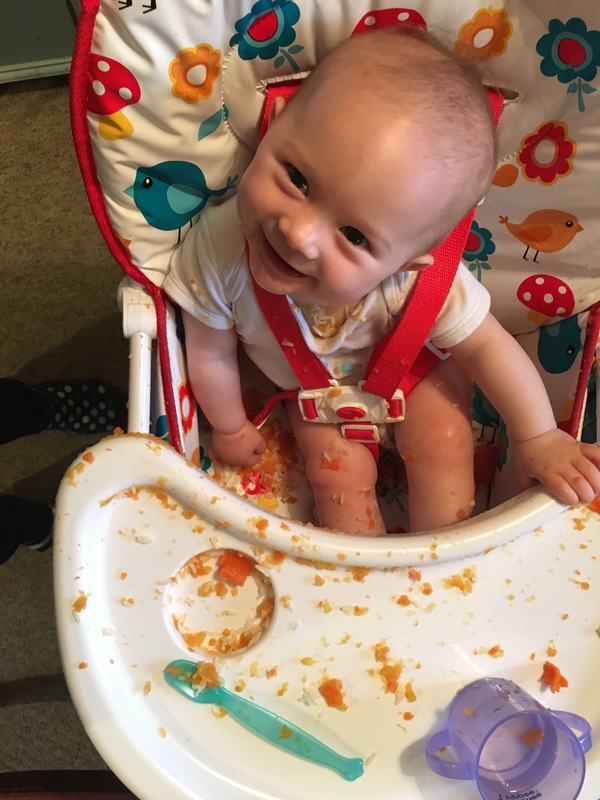 As with most aspects of motherhood there are so many varying approaches to weaning – baby led/ spoon feeding/ homemade/ pouches/ sugar-free/ avoiding certain foods etc. 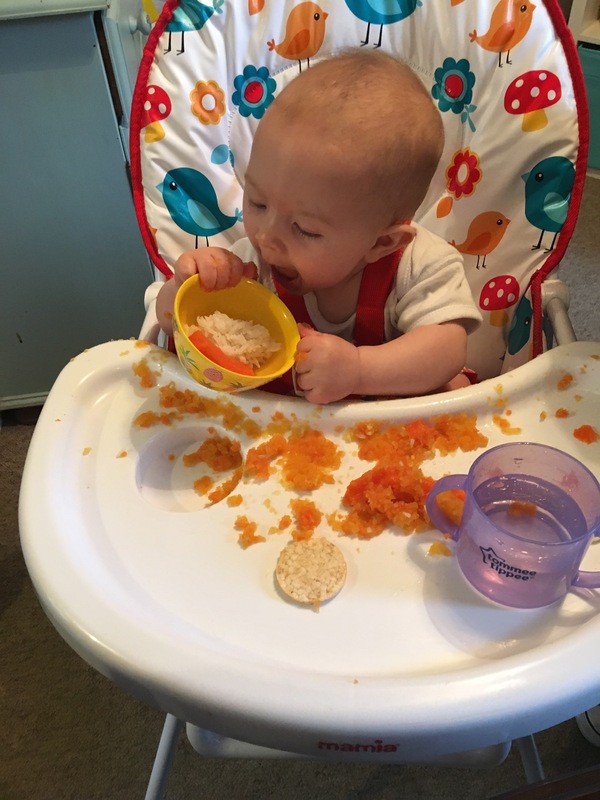 I’ve really just followed my own instincts and would advise the same if you are beginning your weaning journey! I don’t yet want H to taste sweet food like chocolate, but some of my friends have given their babies things like ice cream already and I think that’s great (and made for excellent photos!). Choking is a fear of mine, as I’m sure it is for most parents! We took a first aid course a few weeks ago and whilst I technically know what to do if a baby chokes, I am not totally confident that I would be able to “perform” in a real life situation! I would highly recommend taking a course though, or at very least watch the video St John’s Ambulance have created. We’ve had one situation whereby H choked on a rice cake and her daddy had to pat her back. I’m not convinced she was 100% choking, but she did throw up and it was enough to send my mama-anxiety sky high. 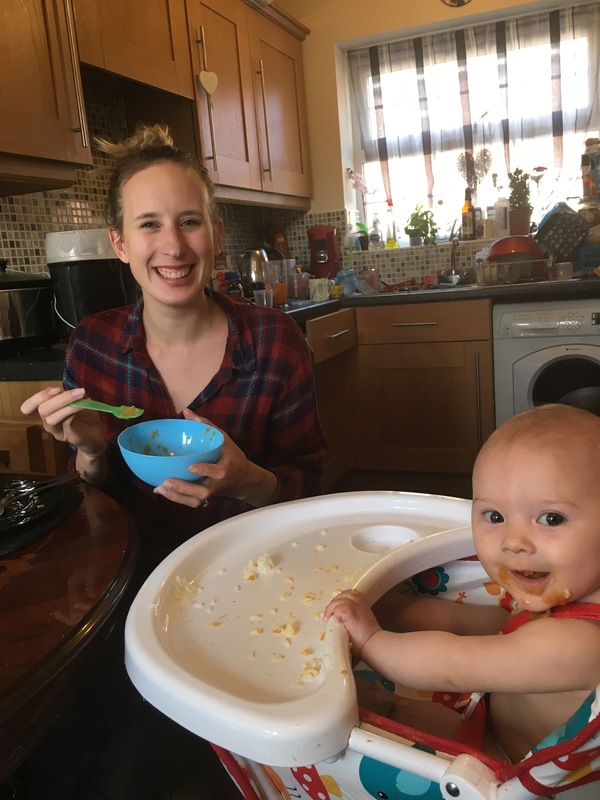 My biggest anxiety as we progress with weaning is that H may accidentally consume a milk product and react badly. She has reacted awfully through my breastmilk if I eat anything dairy so I worry what hers would be like. Currently I can control it as she is always with me, but as I return to work and she begins to go into childcare settings and spend more time with grandparents etc it worries me that a slip up might occur. I hope this is an allergy she will outgrow, but time will tell. We are looking forward to trying more food with H, and exploring more fruits. I’m particularly excited to make frozen fruit pops for her to enjoy! And to see what she thinks of meat too! I’ll be doing be a blog soon on this, some recipes we will be trying, and some products we are loving using so watch this space!